Once again, I know it's been a while since I've written a newsletter and it's been some time since you've heard from me but all is well. 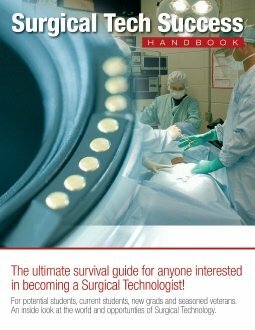 If you've gotten to know me on any level over the years, you know that I often share much (personal experience) about my surgical career with the intention to help other surgical techs on some level. I have much to talk about regarding the past several months in & around the surgical world. I'll be talking to you again really soon! When there is nothing left but God, that's when you find out that God is all you need!!! HE has GREAT plans for ALL of us!! !